Young Female Freediver from Poland who started freediving at 24 years of age and in just two years of training has won two World Championship titles and broke two World Records! The Individual AIDA Pool World Championships took place at the end of June 2018 and Magdalena Solich-Talanda was killing it! The strongest current female freediver proved herself again! Magda defended her DNF (no fins dynamics) World Title with a dive of 178m on June 28th, 2018 and won gold in DYN (dynamics with monofin) with a 243m dive, while establishing a new World Record on June 29th, 2018. 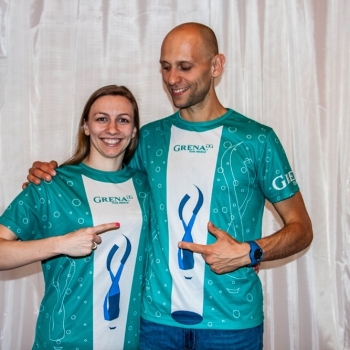 The previous record was set by the late Natalia Molchanova, the best freediver of the current times, which really sets in perspective Magda’s achievement! She then proceeded to thank her sponsors, trainers, training partners and the fans.